The New York Giants are definitely looking at all the options when it comes to the upcoming NFL Draft. The team’s most high profile visits have been with quarterbacks and it was news recently when they hosted West Virginia star Will Grier for a visit. 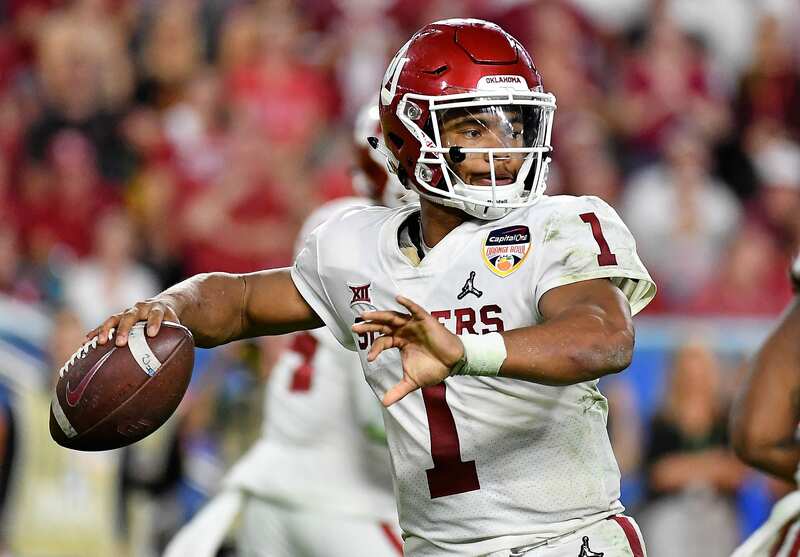 Now, more information has come out and it looks like the team brought in Oklahoma quarterback and Heisman Trophy winner Kyler Murray on the same day. According to Ian Rapoport, the Giants had Murray for a visit on Thursday. Murray joins the ranks of others who have visited the Giants, which includes not just the aforementioned Grier but also local outlier Trace McSorley and non-quarterback players such as Rashan Gary and Clelin Ferrel. Murray was one of the best players overall during the college season but has some question marks coming into the NFL such as his size, standing at only 5’9″ or so. But while the height is the most publicized trait of Murray’s, there’s also other question marks such as the offense that Murray is coming out of, which isn’t very similar to an NFL style offense, and the fact that Murray will not be able to rely on superior teammates in the NFL like at Oklahoma. Despite those question marks existing, though, Murray has been linked with the number one overall pick by a number of mock drafts and there’s plenty of talks about the Arizona Cardinals trading Josh Rosen to acquire Murray as their new starter instead. Until recently, the Giants were often named as a part of those trade rumors. Murray looks like an outlier in terms of draft options for the team. There’s not a guarantee Murray makes it past the first pick, and if he does, there’s a number of questions keeping Murray from becoming Eli Manning’s successor. Could the New York Giants Make a Surprise Move on Top Quarterback Draft Option?